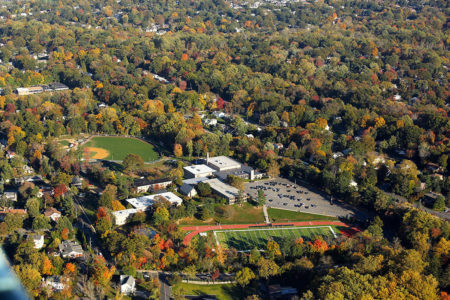 Our beautiful, 37-acre, collegiate-style campus — located in a safe, peaceful, residential neighborhood near the Bronx River and Hutchinson River parkways, and accessible via multiple Metro-North train lines — features modern academic buildings with state-of-the-art laboratories and classrooms that are united by a campus-wide wireless network. Upper School athletic facilities include two gymnasiums, synthetic turf and grass fields, new fitness center/weight/film rooms, tennis courts and baseball fields, and a free-standing fine arts center that houses live broadcast, production, digital recording and visual art studios. 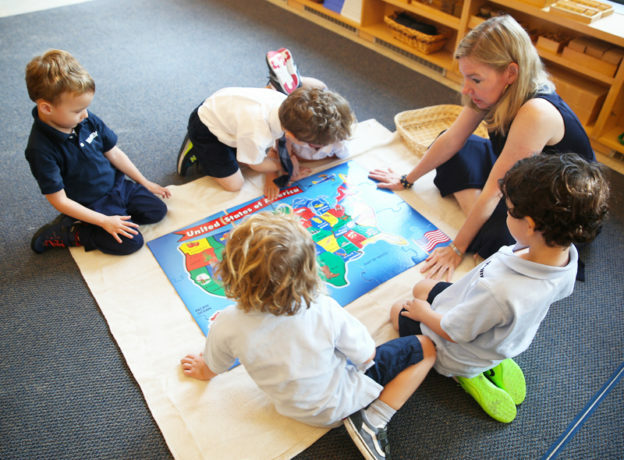 At the Lower School, a well-rounded program promotes the harmonious growth of the whole person, fosters the development of higher-order thinking, and prepares students for lifelong learning. Class sizes average 15 students, ensuring that each boy receives the care and attention he deserves. The newly reimagined Devlin Library & Center for Excellence features technology and design upgrades, as well as a brand new “makerspace” for Project Based Learning. 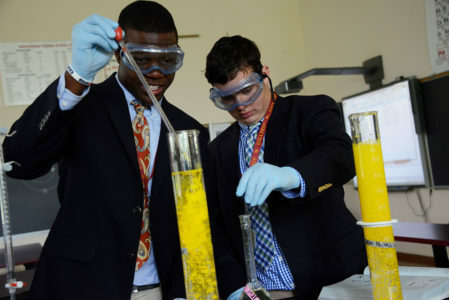 For more than 100 years, Iona Prep has been committed to academic excellence, providing an education that empowers young men to become thoughtful, committed leaders who succeed in college and beyond. 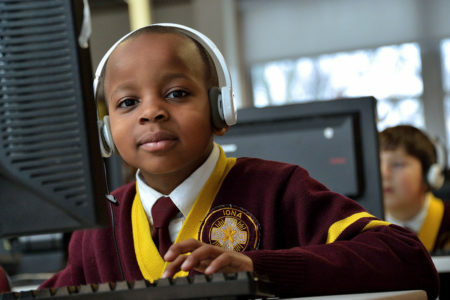 An Iona Prep education is one of the best investments you can make for your son’s development. In 2018, 78% of graduates attained academic scholarships – averaging more than $60,000 per student. In all, the Class of 2018 received over $29 million in academic, college scholarships. We offer a challenging academic program, as well as dual enrollment courses for college credit through Iona College, St. John’s University, and the University of Albany. 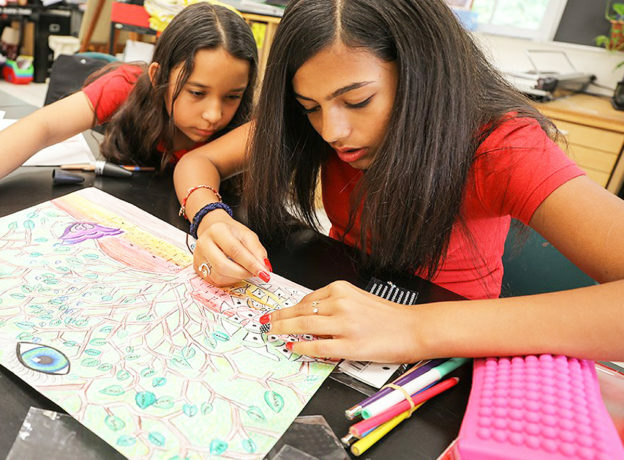 Our rigorous curriculum emphasizes four years of English, math, science and social studies, providing students with the foundation for success in college. Religious studies nurture the spirit and emphasize ethical and moral thinking. Students are also required to take three years of a foreign language. Our students have an opportunity to advance and be challenged across all levels of learning. More National Merit Award Winners than any other all-male, Catholic school in Westchester or the Bronx over last decade. Three levels of academic study—Superior Talent Enrichment Program (STEP), Honors and College Prep—to accommodate and challenge all levels of learning, giving students the ability to advance. New three-year Science Research Course with class, group and independent study, and external professional research mentors. Italian, Mandarin and Spanish, plus Latin for students in the Superior Talent Enrichment Program (STEP). Annual cultural immersion trips to Ireland, Italy and Spain. 85% of our caring and credentialed faculty have advanced degrees in their field. Biweekly academic updates to parents via online portal for total transparency. 17 Advanced Placement courses offered. 63 students earned Advanced Placement Scholar Awards in 2017-18. Iona Prep is proud to announce two new signature programs that will challenge our students to achieve at a higher level as brothers and leaders. The Iona Preparatory Science Research Course is a three-year elective that begins in sophomore year. Students will have the exciting opportunity to conduct advanced-level, scientific research and develop a knowledge of science that will distinguish them during the college application process and beyond. The coursework will also prepare them for scholarships, internships and future career paths in the growing economy of the sciences. Students will collaborate in class, group and independent settings. Each student will also select a professional external research mentor who is an expert in the student’s chosen field of study. 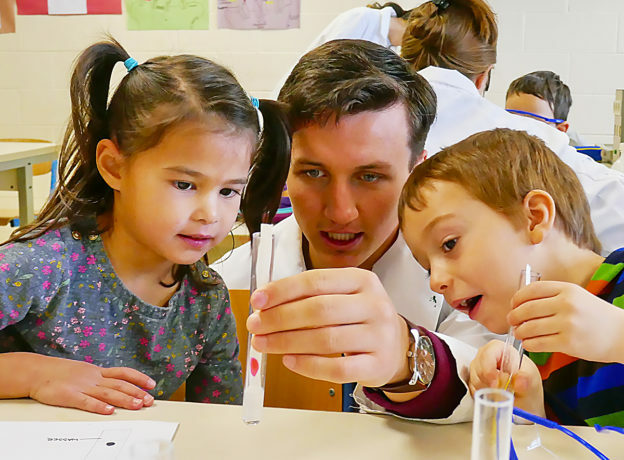 Mentors help students develop hands-on research skills that can be applied in real laboratories and can help them explore the myriad of possibilities in their chosen scientific field. The Iona Preparatory House System is a new school-wide program that will help create leadership opportunities, as well as camaraderie, among students in all four years of the Upper School. Bringing an innovative, effective, and fun new structure, the new House System will strengthen the bonds of brotherhood across all classes, regardless of age; create opportunities for all seniors to be trained and to serve as leaders; provide more leadership development opportunities for underclassmen; and advance each student’s interpersonal relationship skills. 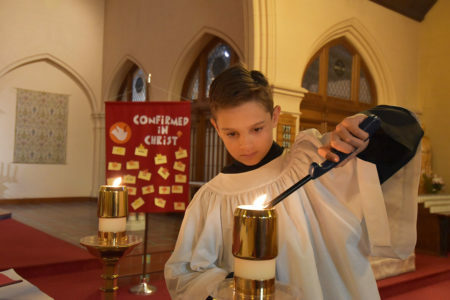 Upperclassmen serve as Peer Ministers, taking a leadership role in their faith by organizing day-long and overnight reflection retreats for underclassmen and Lower School students, assisting with Mass and prayer services, and serving as mentors and role models for their peers. We are proud of the Campus Ministry opportunities we create for students to experience and practice the Catholic Church’s mission domestically and abroad. Students fulfill their Christian Service requirement with countless volunteer opportunities at organizations such as Neighbor-to- Neighbor, HOPE Community Services, Adopt-A-Dog Shelter and Habitat for Humanity. Students perform service weekly, taking advantage of more than 85 volunteer opportunities throughout the year, with transportation provided to local community partners. More than 100 service immersion spots are filled each year by students who travel, advancing Iona Prep’s mission to stand in solidarity with those marginalized by poverty and injustice from New Orleans to Peru. Unique, semester-long Christian Leadership Course provides seniors with skills to lead retreats, teach underclassmen and participate in an externship program. Leadership Weekend includes student-led training workshops and distinguished speakers. Biannual Leadership Series affords select upperclassmen the opportunity to instruct underclassmen in honing leadership skills, while also providing an opportunity to hear from alumni who are captains of industry. Advocacy and service, staples of an Edmund Rice Christian Brothers Education, are focal points of an Iona Prep student’s experience. Beginning in freshman year, students are deeply involved in advocacy and service initiatives in and out of the classroom. Students create and maintain a digital portfolio of their community service efforts, culminating with the development and implementation of an Advocacy Project. 100% of Iona Prep’s faculty incorporate Human Rights issues into their course curriculum. Involvement in the arts, activities and athletics enables students to pursue interests, foster friendships and serve others. Students can pursue varied interests by joining the editorial staffs of the newspaper and literary magazine, gaining recognition on our nationally-ranked forensics team, honing computer and video editing skills in our cinematography class and broadcast studio, or playing an instrument in our jazz or rock ensembles. 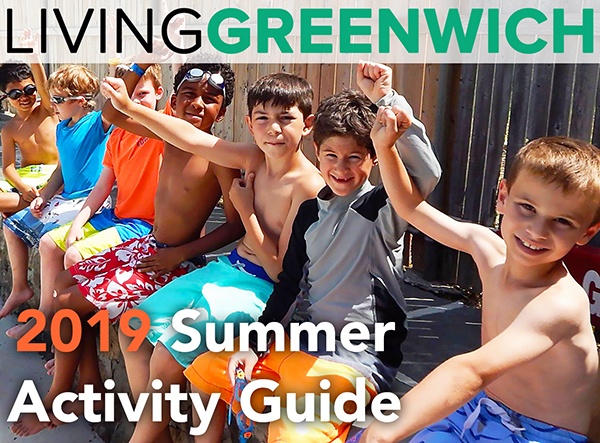 By contributing their time, energy and talent to a variety of extracurricular experiences — whether recreational, educational, creative or competitive — students develop into well-rounded individuals. Please visit www.ionaprep.org/clubs for a complete listing of our activities. While academic success is our first priority, there are many equally important life-lessons learned by being a member of a team. 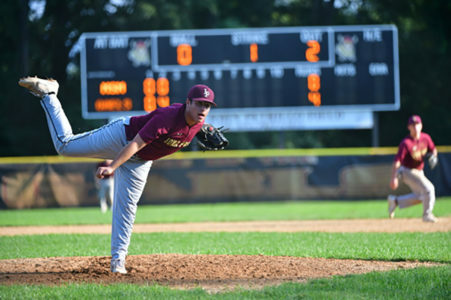 Our athletic teams rise to the highest level of competition of the Catholic High School Athletic Association (CHSAA), including baseball, basketball, crew, football, golf, ice hockey, lacrosse, soccer, swimming, tennis, track, volleyball, wrestling, and more. Lower School teams include baseball, basketball, cross-country, football, lacrosse, soccer and track. Natural grass baseball diamond, with batting cages, bullpen and practice infield. Selecting a school is one of the most important and impactful decisions that a student and his family will ever make. It’s an investment for a lifetime of success, one that affords an early start on excellence beginning at age 4. An Iona Preparatory education is one that reaps dividends. Iona Prep’s school counseling services are the most comprehensive and personalized of any local Catholic school in the area. We prepare young men for more than college admission; we prepare them to be moral and ethical leaders. Our students achieve success in high school, college and beyond. 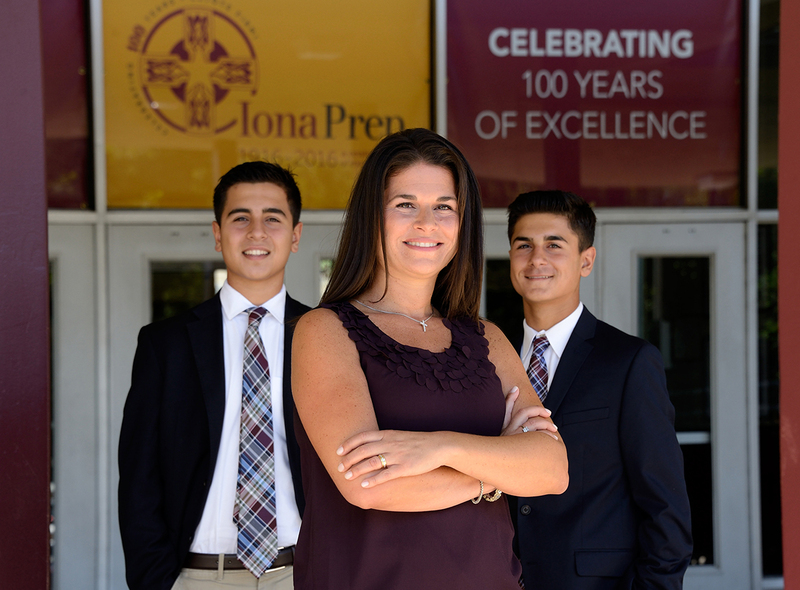 Whether in the world of finance, media, military, entertainment, medicine, education law or sports, graduates build a foundation at Iona Prep and become leaders in their respective professions. As Iona Prep alumni, graduates join a network of close to 20,000 impressive and accomplished Gaels. A full-time school counselor is on hand at the Lower School to help all students achieve academic success. Students are then assigned a high school counselor for all four years and a college advisor who joins them junior year. Monthly newsletters guide parents and students through a successful conclusion to their high school careers and the college application process. Comprehensive College Preparatory Program includes developmental guidance curriculum all four years, College Readiness Night, Essay Boot Camp for seniors and on-site College Fairs (over 200 schools visit campus each year). Unique Peer Ministry program supports freshmen transitioning to high school. Full-time social worker to address specific familial, social and transitional situations, and provide an additional tier of support for students. 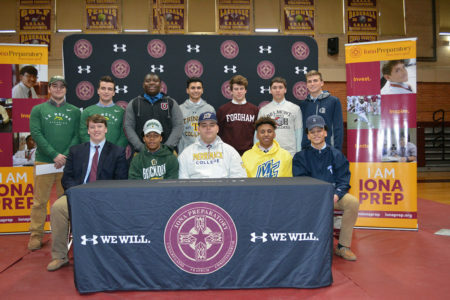 Iona men attend the top colleges and universities, with 2018 graduates having been accepted to highly ranked schools such as Brown, Cornell, Georgetown, Harvard, Johns Hopkins, MIT, Notre Dame, United States Military Academy at West Point and Yale. Iona Prep alumni advocate for current students, facilitating college acceptances and mentorships; it’s a lifelong alumni network that enhances college and career trajectories on the strength of the brotherhood of Iona men. 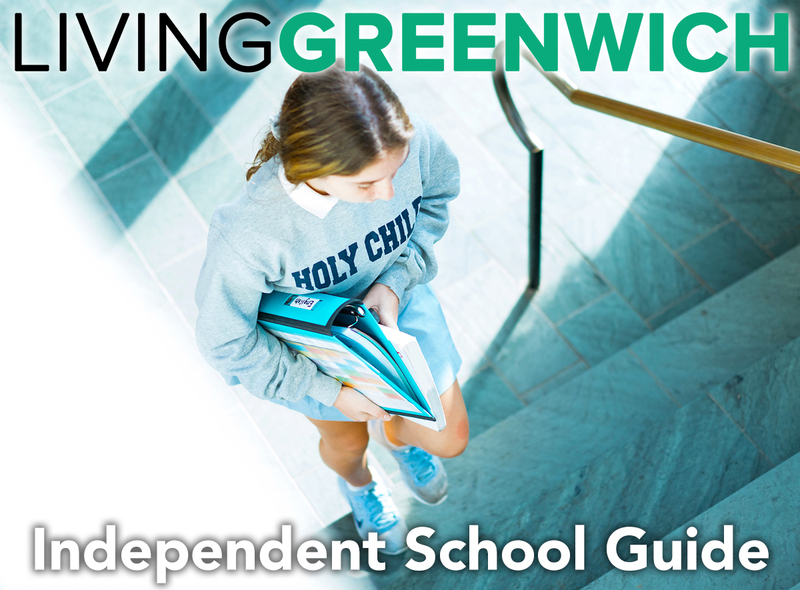 Students are accepted based on the Test for Admission into Catholic High Schools (TACHS) or the Independent School Entrance Examination (ISEE). An application, recommendations, standardized test scores for ELA and math, as well as 6th, 7th and 8th-Grade (first quarter) report cards are required. In addition to attending one of our Open House events in the fall, prospective students are invited to be a Gael-for-a-Day by spending a day at Iona Prep. Families are welcome to tour our campus, as well — this is a great opportunity to meet our faculty, staff and students during a school day. A Gael-for-a-Day visit is required for Lower School admission. Expanded transportation options also make it easier than ever to get to Iona Prep. Bus pickups are conveniently located at the Stamford and Greenwich, CT Metro-North train lines.